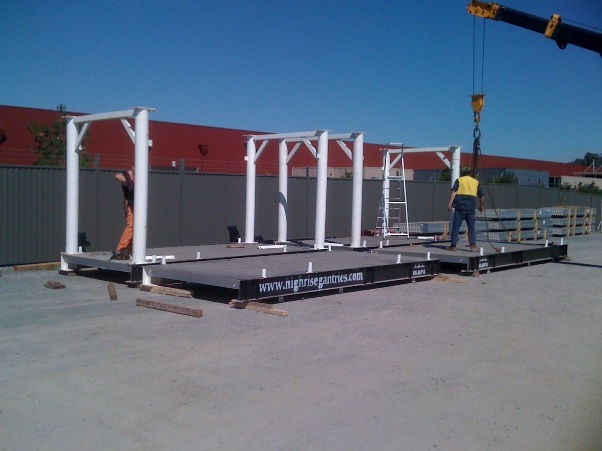 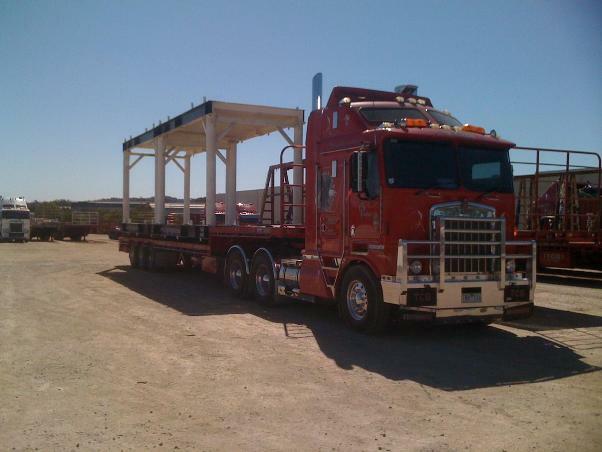 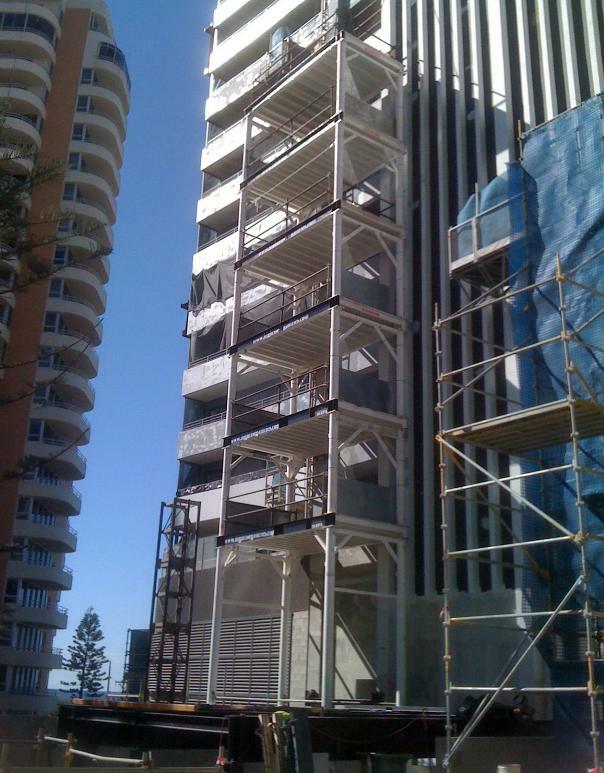 Highrise Gantries has just recently completed in 2011 what is the highest temporary gantry platform system ever built in Australia. 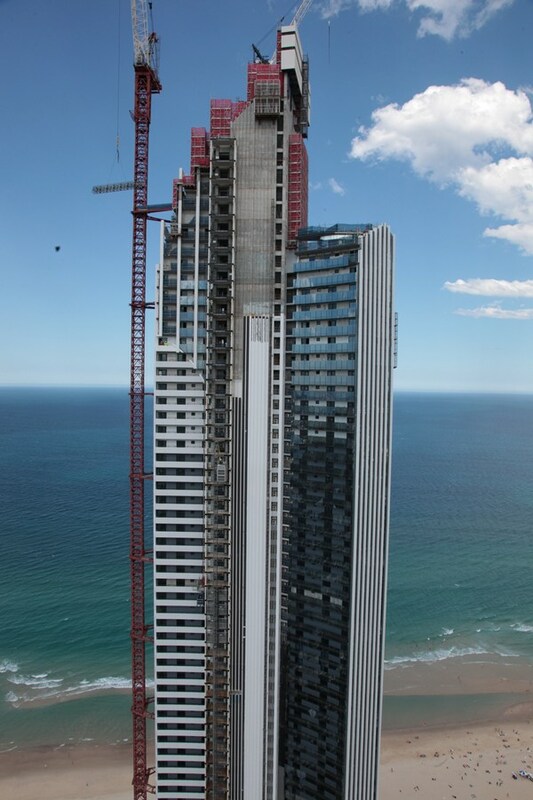 On the renown “soul apartments’ on the gold coast. 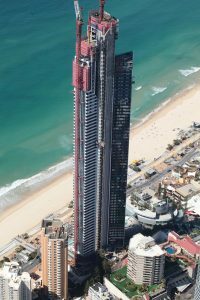 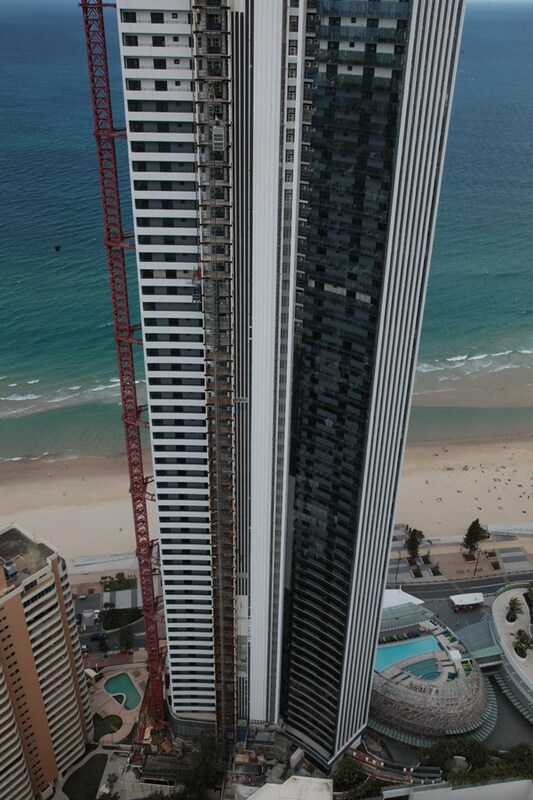 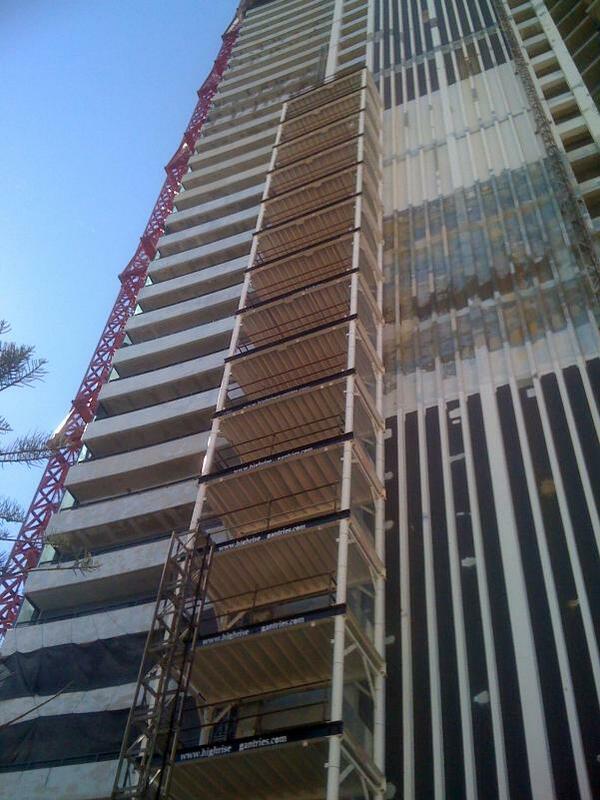 The builder grocon, required two man and material hoists to access 72 floors of the building on the external west face, however owing to the profile of the structure, the hoists could not access directly onto each floor. 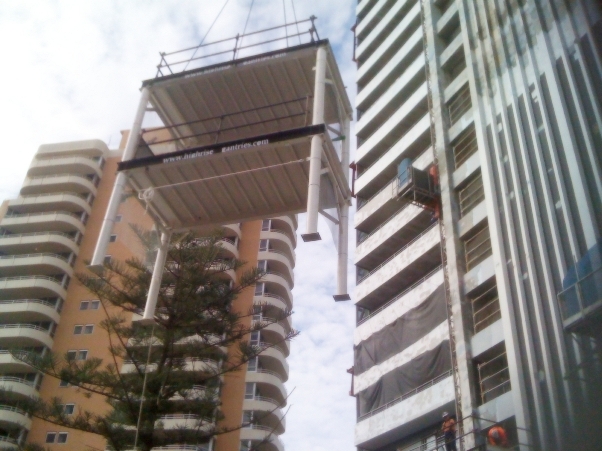 By erecting and stockpiling all the decks off site in stacks of two floors each , it was simply a matter of transporting these to the site, and craning them up and securing the two floors to the previous levels, an operation that could easily accomplish four floors a day . 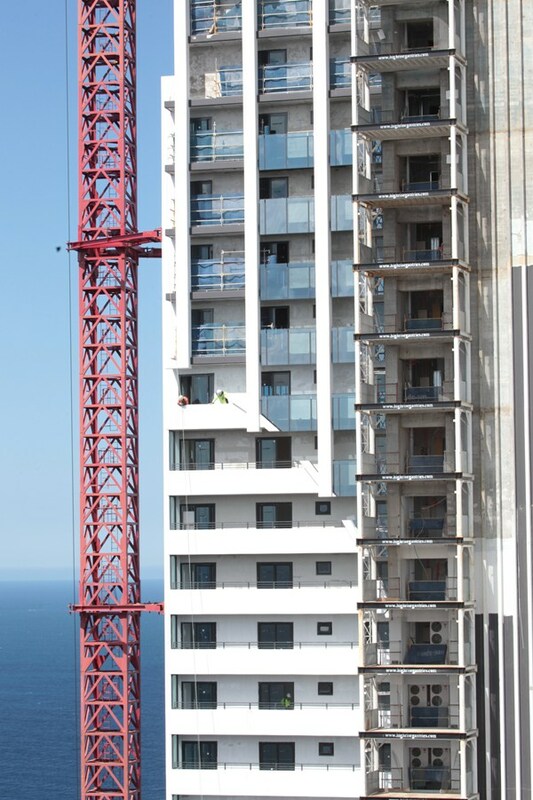 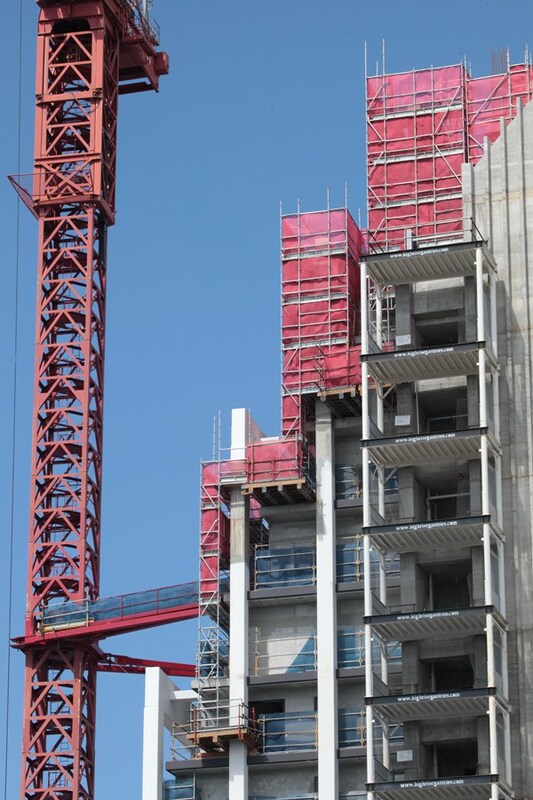 There was no requirement to strengthen our standard columns, in fact the gantry could have reached well over 100 floors without any changes to our standard product.